"Firmware" is the underlying software that powers your devices. It is the "brain" of the system, responsible for reading sensor data, updating the screen, and everything else. Upgrading your firmware to the latest version ensures device stability, corrects previous bugs, and may include enhancements. Note that firmware updates do not remove any program settings or delete data. However, you should always backup your logging data before an update. Create a folder in the top directory of the flash drive, and name it BINFILE. Copy the .BIN firmware file to the USB drive, under the BINFILE folder you created. 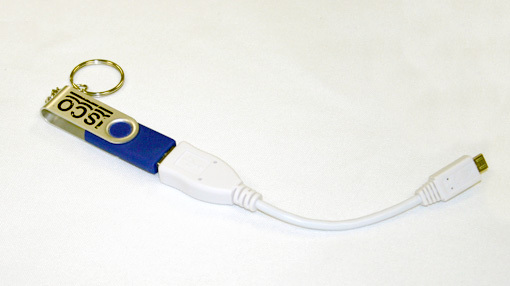 Using the flash drive adaptor cable provided with the Signature, connect the flash drive to the micro-USB assembly on the flow meter’s front panel. The USB Options menu appears on the display. Select option #3, Update Firmware. At the prompt, select Signature firmware. Select the appropriate .bin file from the pull down menu and press NEXT. The update will load for approximately three minutes. During this time, do not make any changes to the Signature. When the firmware load is complete, the Signature will prompt you to remove the USB drive. An automatic reboot then occurs over a period of approximately five minutes, during which the green LED signals that an internal operation is in progress. Do not unplug the flow meter or press any keys until the Home screen appears. In the event that the upload fails, contact Teledyne Isco.